The gentlest of vegetable soaps for sensitive skin producing a creamy lather to cleanse without drying. 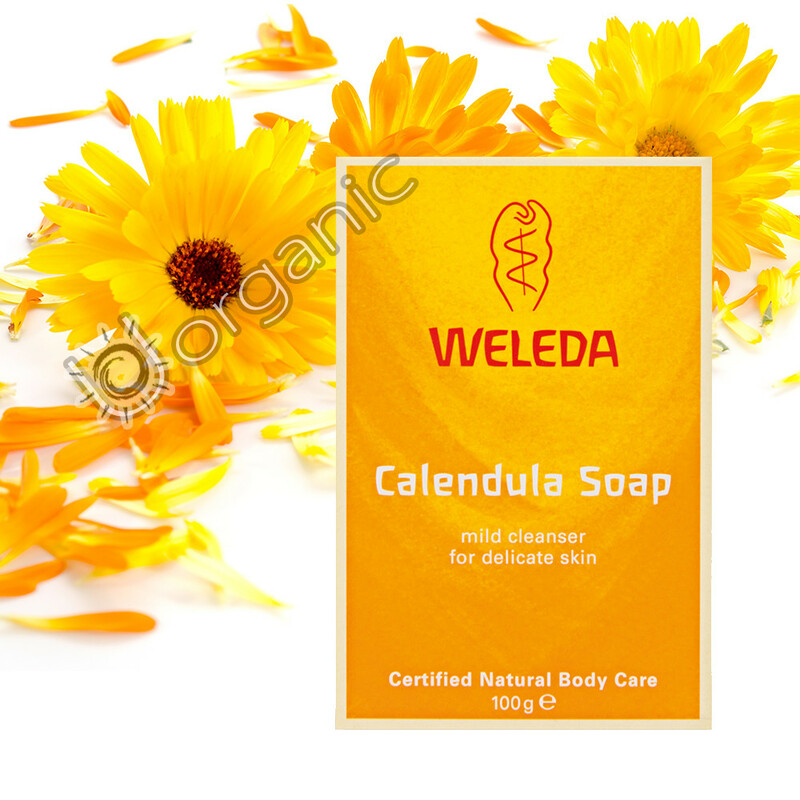 Weleda Calendula Soap contains soothing extracts from biodynamic Calendula and organic Chamomile. It develops a soft foam, which delicately cleanses the skin and helps maintain the skin's natural moisture balance. Suitable for sensitive skin of babies, children and adults. Ingredients: Sodium Palmate, Sodium Cocoate, Water (Aqua), Sodium Olivate, Glycerin, Fragrance (Parfum)*, Limonene*, Linalool*, Citronellol*, Geraniol*, Calendula Officinalis Flower Extract, Chamomilla Recutita (Matricaria) Extract, Iris Germanica Root Extract, Viola Tricolor Extract, Oryza Sativa (Rice) Extract, Malt Extract, Sodium Chloride.